Family owned and operated, our focus at Integrity Homes is to provide the homeowner with important features and quality construction techniques available in today's building industry, while striving to keep individual budgets in mind. We place customer expectations high on our list of priorities and that has proven to be one of our best assets. The Integrity Builders team - Kenny, Dodie, and Shanna - work together like a well-oiled machine to build a home smoothly and efficiently. As President of Integrity Builders, Inc., Kenny meets with clients and oversees the building process of each new home, remodel or addition. He is instrumental in the developmental side of the company and works to keep new and exciting homes available for prospective homeowners. He is a Certified Green Builder, Vice President and Life Director of the St. Tammany HBA, on the Board of Directors for Louisiana HBA and also National Director for the State and National Home Builders Associations. De Jesus Construction Co., Inc.
With both commercial and residential licenses, Entablature is qualified to perform a wide variety of contracting services. Our work includes new construction, historic renovations, and tenant build-outs. Whether you are looking to add a camelback, convert an existing double into a single, or build a new home designed to fit seamlessly into its historic surroundings, we are uniquely qualified to assist you through the entire process. Entablature understands both the complexities inherent in working with historic structures and the sensitivities required to construct new buildings in historic neighborhoods. In contrast to the traditional model of competitive bidding, we take a collaborative approach, working with homeowners and their designers to value-engineer a project and get our clients the best possible results within their desired budgets. Our mission is to partner with our clients and develop trusting, open lines of communication through which our clients can make informed decisions. Entablature employs a highly-qualified team of home-building professionals led by Chris Kornman, a third-generation home-builder born and raised in New Orleans. We provide our clients with access to the most advanced online project management platform on the market in order to keep clients continuously informed and engaged in the progress of their project. Making Dreams Come True Since 1975 Building a new home or a new business is one of the biggest investments you can make. You are literally building the foundation for your future for what will most likely become the home that stays with your family from generation to generation. At Savoie Construction, our mission is to take the dream home you have imagined in your mind and your heart, and bring it into reality. We understand that this is no simple task, and we have developed the tools, the team and the infrastructure to make it happen. We are a full service home construction company that specializes in custom homes. We hold both residential and commercial licenses from the State of Louisiana. We also do small commercial jobs, specializing in metal buildings. We have over 15 years experience in the construction field and focus on every project as if it is the only project. Whether you intend to build a 1000 square foot shotgun cottage or a 6000 square foot mansion, it's still your dream home. We treat each project with the respect it deserves. Some homeowners like to do some part of the building process. We have no problem with that. We offer 'turn key' construction or allow you to do any work you care to take on. We have assembled a list of quality sub-contractors who work with us. We are all licensed and insured. Call us today to start your custom home! De Jesus Construction Company, Inc. has been in business for 15 years. We are dedicated to providing our clients with outstanding craftsmanship, design, detail, innovation, service and value that does not just meet but exceeds our customer’s expectations. We are licensed to build new construction homes and commercial construction buildings. We also specialize in kitchen & bathroom renovations. We enjoy helping to bring peoples dreams and visions to life. Pay as low as 7% for your Custom Home from Ross Custom Homes! DSLD Homes is currently one of the top 30 home builders in the nation, and is currently the largest private home builder in our region. The level of success we have been able to achieve in our market is largely attributed to our managing partners' 100+ years of residential construction experience. We have also managed to maintain success from our great relationships with local brokers, realtors, and referral base. All Star Premier Homes specializes in building homes within your budget. Our company operates with low overhead and high efficiency so we can pass the savings to our customers. You will build a new home and experience instant equity. We have over 200 plans in our office for you to choose from or we can custom design a plan to fit your lifestyle. Let's work together to find just the right plan and path to your family's home happiness. Tired of "contractor grade" homes at premium prices? Eclipse specializes in building high quality homes at much better prices than you'd expect. Contact us to learn more. J Hand Homes LLC is a premier custom home builder on the Northshore. If you’re currently designing with an architect, working with an interior designer, or still dreaming up the perfect home, now is the time to contact J Hand Homes LLC. Our mission is to help each client design and build a home that harmonizes with their families’ lifestyle, fits their financial guidelines and enriches their daily life. We take a partnership approach to building beautiful homes with no quality spared. 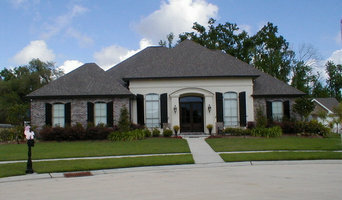 Design & build custom homes and light commercial buildings in Louisiana & Mississippi. Founded in 1981. Whether small or large, residential or commercial, the knowledgeable staff at the Butch Ingram Construction Group knows what needs to be done from concept to finished construction, and does whatever it takes to get the job done right, saving you money without cutting corners. We believe honesty as the best policy applies to the contracting business as well. This honesty, combined with the hands-on and involved approach Butch is known for while managing your project on-site, makes for a construction group able to inform their customers from their experience, as well as punctually produce quality craftsmanship with the practical know-how gathered from it. At Ron Lee Homes and Hearthstone Homes by Ron Lee, professionalism and service are our number-one concerns when it comes to completing a home. However, Ron Lee will not sacrifice quality in order to meet a deadline. Because all representatives of Ron Lee Homes and Hearthstone Homes by Ron Lee are in personal communication with each and every home buyer, any deadline issues are discussed with the home buyer in advance to keep them informed on the building process. Every home built by Ron Lee is unique in that each detail is examined to be sure it meets our quality standards. We understand the importance of quality in creating that special place for your family and friends to enjoy and will help you accomplish this through helping you identify and apply those details. Your satisfaction is our success. Our specialty is HOME construction of any size and type. We have a tremendous team of professionals that will take you step by step through the building process from financing to landscaping and beyond. This includes custom design and applying your special tastes with the help of an interior decorator, if needed. For Avondale residential home builders who also act as developers, the job starts well before the first nail is driven. They perform local market research to determine whether the prospective homesites make sense in the Avondale, LA market, as well as survey the land on which the house will be built to make sure it is suitable for construction. Custom builders also obtain the necessary permits. 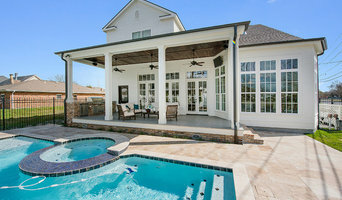 A good custom home builder in Avondale, LA has skills that go far beyond construction — he or she must supervise subcontractors and artisans; keep tabs on local zoning regulations, building codes and other legalities; inspect work for problems along the way; and perform dozens of other roles that are essential in building a quality house. Here are some related professionals and vendors to complement the work of home builders: Interior Designers & Decorators, Landscape Architects & Landscape Designers, Architects & Building Designers, Kitchen & Bath Designers, Specialty Contractors. House builders are responsible for ensuring that the home-building project sticks as closely as possible to the specified timetable, particularly in the event of change orders. Custom and luxury home builders in Avondale, LA also need interpersonal skills to deal with clients of all types, soothe frazzled nerves, negotiate conflicts and resolve problems. Find custom home builders in Avondale, LA on Houzz. Narrow your search in the Professionals section of the website to Avondale, LA home builders. You can also look through Avondale, LA photos to find a house you like, then contact the builder who worked on it.